This blog post is dedicated to the pastel: the artistic medium best espousing the end of the school year. 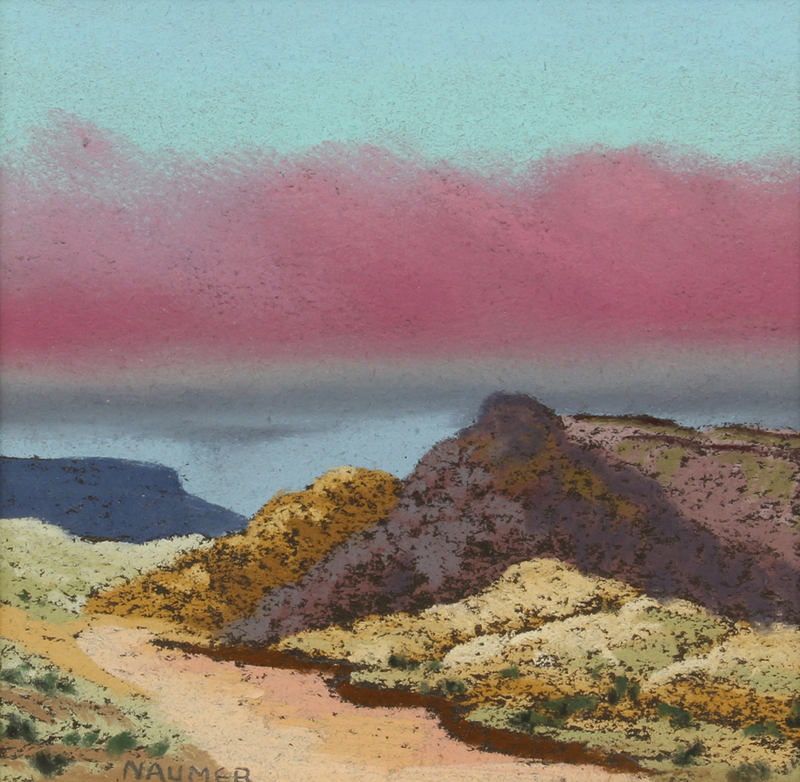 Helmuth Naumer, New Mexico Landscape, pastel on paper, 7 1/2 x 7 1/4 in, Addison Rowe Gallery. Click to inquire. This blog post is dedicated to the pastel: the artistic medium best espousing the end of the school year. Beyond being one of the first mediums introduced to young students, the pastel demands to be blended and smudged-informal and light. Whilst the medium is favored by artists for preparatory studies and quick sketches, the pastel can be dedicated to a completed composition. 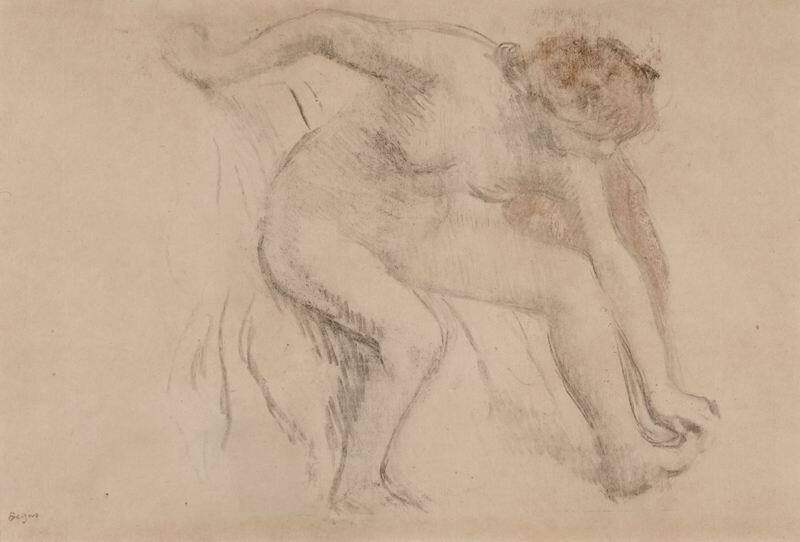 Edgar Dégas, Après le bain, pastelcounter proof, 14 x 21 3/4 in., Galerie Michael. Click to inquire. 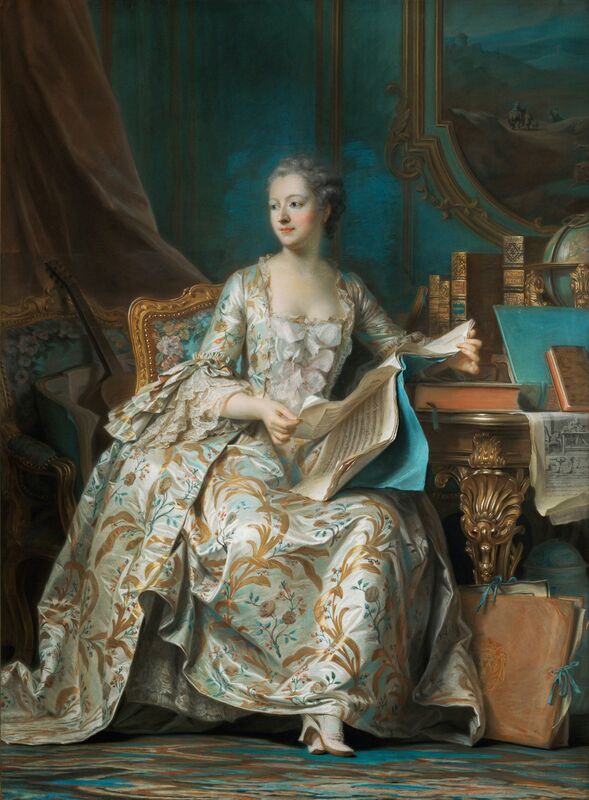 Perhaps the magnus opus of pastel drawings is Maurice-Quentin de La Tour’s full length portrait of Marquise de Pompadour (c. 1748-55), the famed French court figure. The composition’s details-from Pompadour’s dress to the carved desk-are impeccably rendered. However, the pastel medium reveals itself above Pompadour’s head: a halo of smudged blue pastel encircles her. 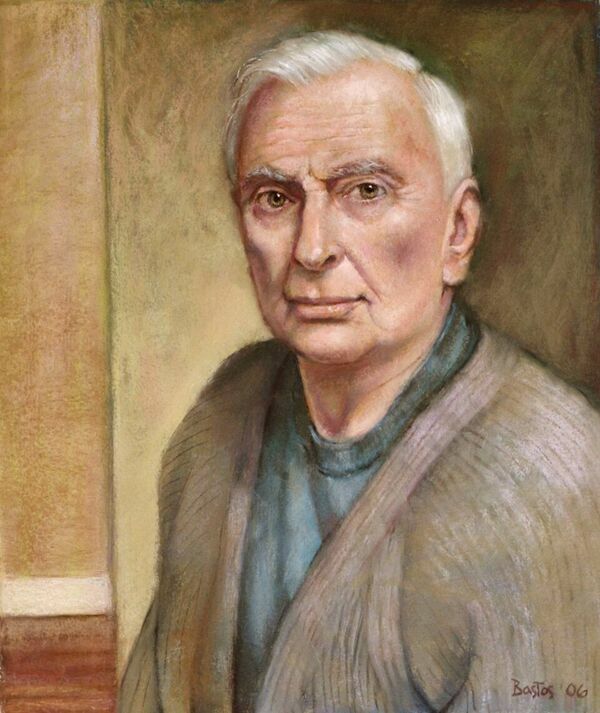 The pastel is also used to render a portrait in FADA’s inventory: Juan Bastos’ Gore Vidal Portrait in the collection of #FADA Member Denenberg Fine Arts. Like in Pompadour, the pastel, coupled with the portrait subject, communicate gravitas and warmth. Juan Bastos, Gore Vidal Portrait, 2006, pastel, 20 x 17 in, Denenberg Fine Arts. Click to inquire. The medium never fails to surprise: for it can produce the densest pigments while still retaining an airy quality. A medium that leaves the most trace, whether on your fingers or your clothes, its flexibility and varied application ushers in a carefree summer. 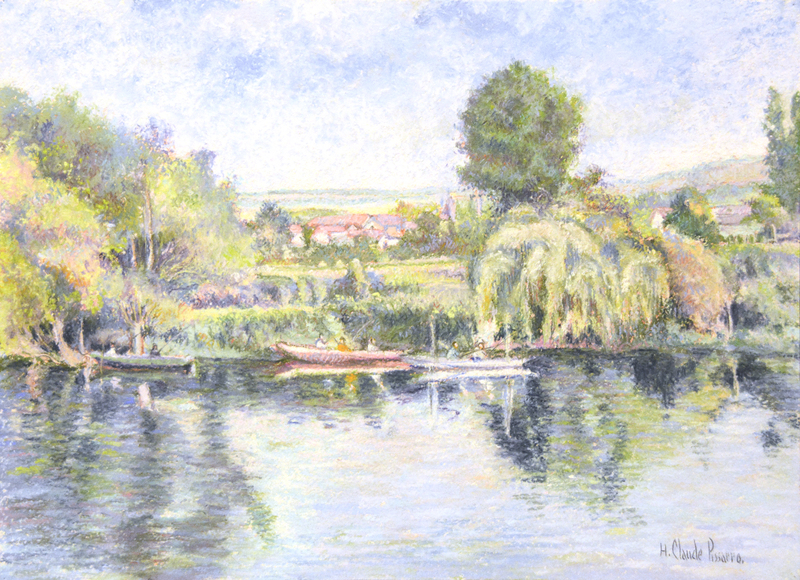 Hughes Claude Pissarro, La pêche-au-coup à Gloton (Bords de Seine), pastel on card, 14 5/8 x 20 1/8 in., Guarisco Gallery. Click to inquire. In fact, most of the pastels in FADA’s inventory are used for summer subjects. The warm, hazy and slightly humid quality of summer air is the most complementary to the personality of the pastel medium. 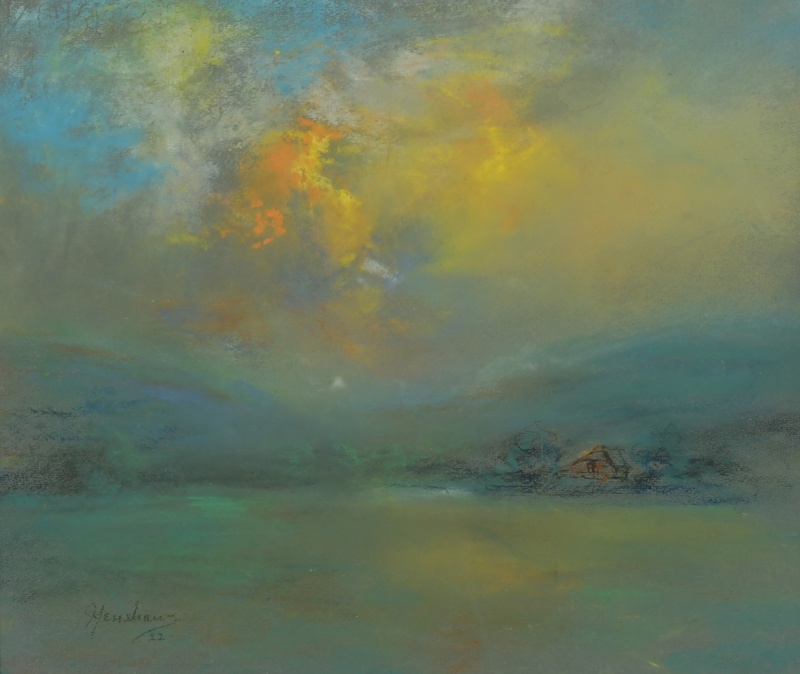 Glen Cooper Henshaw, Sunset over the Hills, 1922, pastel, 14 x 17 in., Eckert & Ross Fine Art. Click to inquire. 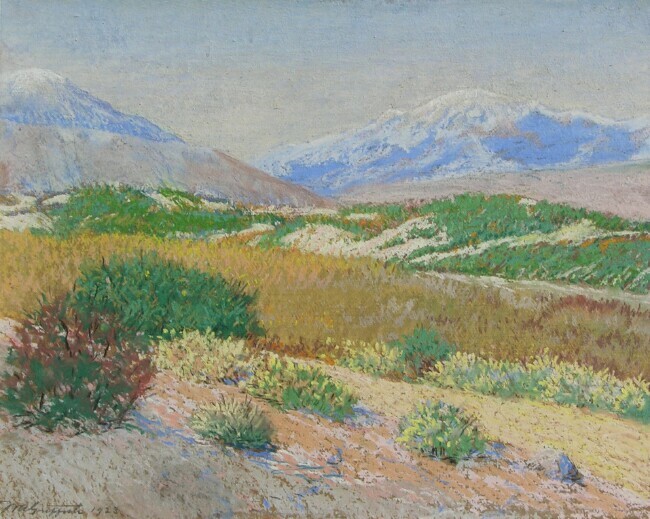 William A. Griffith, California Desert, pastel on paper, 15 x 19 in., George Stern Fine Arts. Click to inquire.